Sun Power is a French owned company. It has two major solar power projects in development for farms to be located in the Antelope Valley area of central California. Once completed (projected to be in 2015), these farms will be the largest of their kind in the world. The purchase is reported to have cost Mid American between $2 and $2.5 billion dollars totaling a 49% stake in Sun Power. This is a considerable “statement” in favor of renewable energy business across the board. California is on a mission to have 1/3 of its electricity derived from renewable sources by 2020, so this project is welcomed by the state, as well as others in the energy sector as a whole. It is expected that this solar project will provide 579 megawatts for Southern California Edison once it is fully operational. For reference, Californian’s use 265,000 gigawatt hours per year and eighty percent of this power is supplied by privately owned electric companies. You can see there is not only need in California but investment opportunities as well. Mid-American Energy has ventured into this area on a few prior occasions. They have purchased two wind farms located north of Los Angeles, California as well as a solar farm in nearby San Luis Obispo. They reportedly also own a company in Arizona that produces solar power. Further, Mid-American is Iowa’s largest energy company. By the end of 2012, they were projected to have 31 percent of their power from wind power alone which translates to over 7600 megawatts either owned directly or contracted. This indirect approval from Warren Buffet is sure to provide additional financial bounce to this sector of our economy. It shows that that big business is realizing that renewable energy can be competitive with traditional energy resources. Actually, the United States as a whole is the second largest country in the world seeking investment in clean energy. China tops the list with almost 1/5 of their total global investment –unfortunately, they spend a fair portion of that investment trying to knock out other competitors and not on the products themselves. Germany, Italy and India round out the top five countries in the world seeking renewable energy investments. So, while attempting to decrease our collective energy consumption footprint, corporations are seeking to increase their investment footprint. These investments, beyond helping to limit the world’s dependence on fossil fuels, are proving to be good business as well. 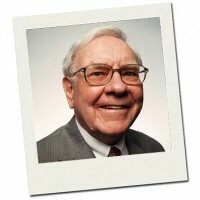 Buffet has long been applauded as being a forward thinker, even now in his 8th decade of life. Charting Mid-American’s investments in the new few years would be a good road map for many of us small investors to follow.